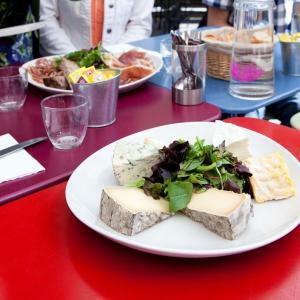 Let’s go on a bike tour through Paris’s best known neighbourhoods – and taste some delicious regional products too! 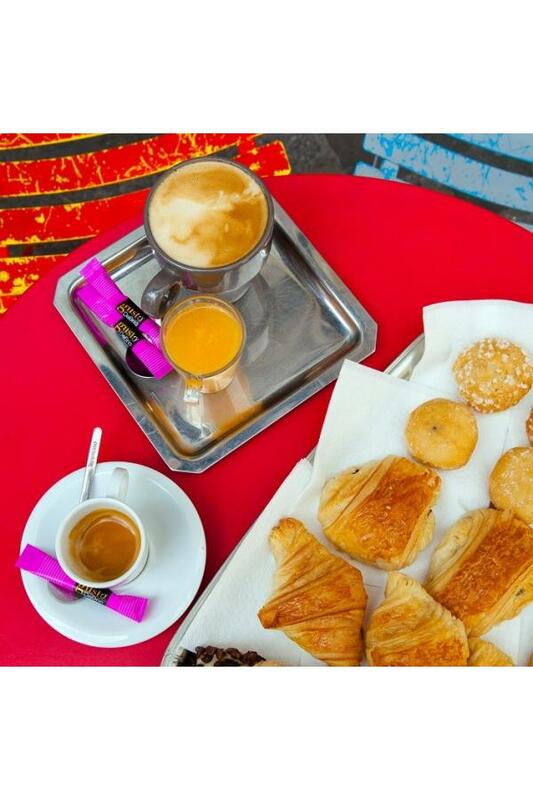 During this Sunday morning ride, you’ll discover one of the famous Parisian markets and enjoy a taste of some typical French products including coffee and croissants, charcuterie (deli meats), and different cheeses. You’ll just love this tour! 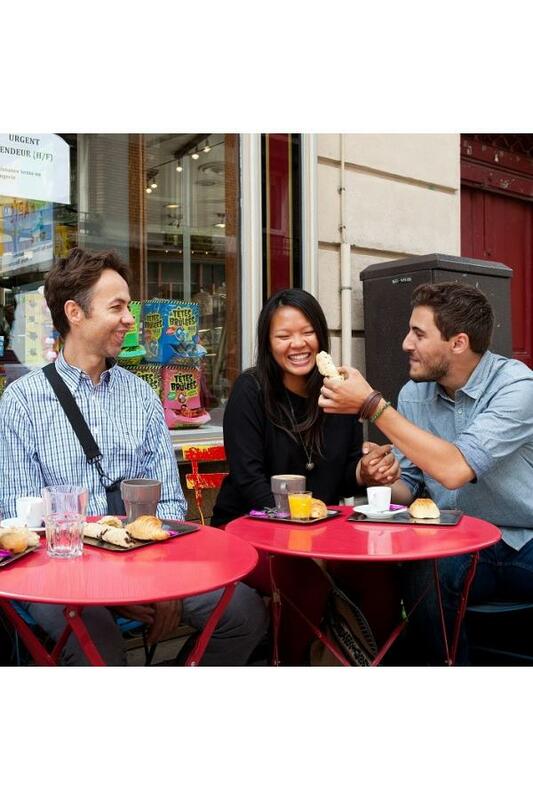 After meeting some of the locals, you’ll feel like a real Parisian. 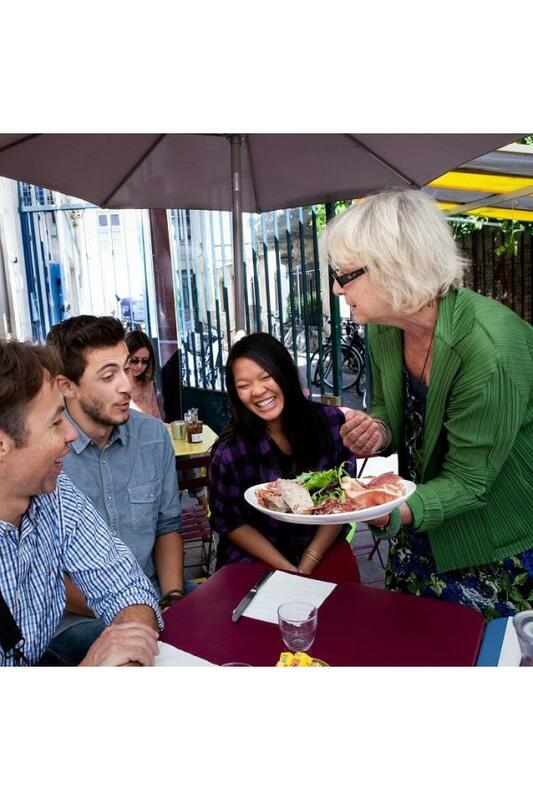 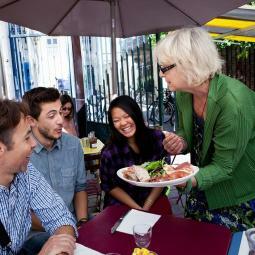 Your qualified guide is on hand to explain the different aspects of Parisian culture. 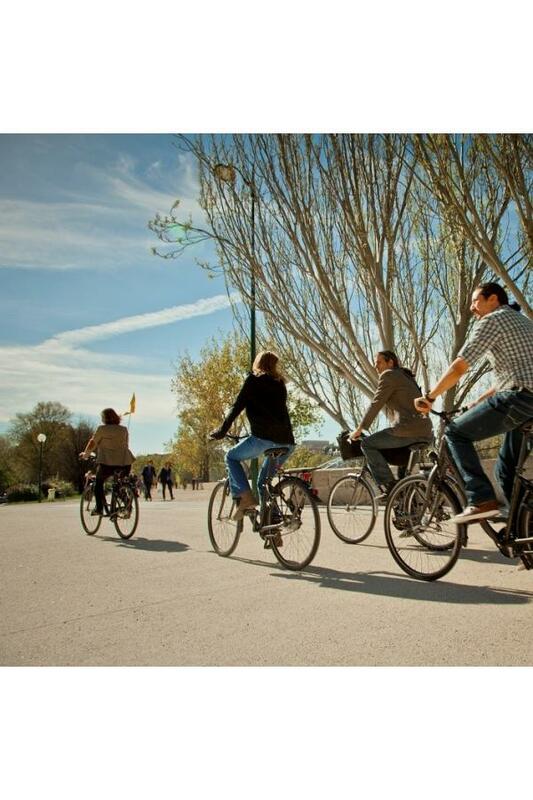 Discover historic and contemporary Paris by bike! 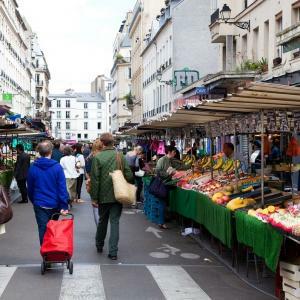 From the Marais district and its famous Place des Vosges, you will cross the Place de la Bastille and cycle through the old craft workers’ district of Faubourg Saint-Antoine, arriving at one of Paris’s oldest markets. 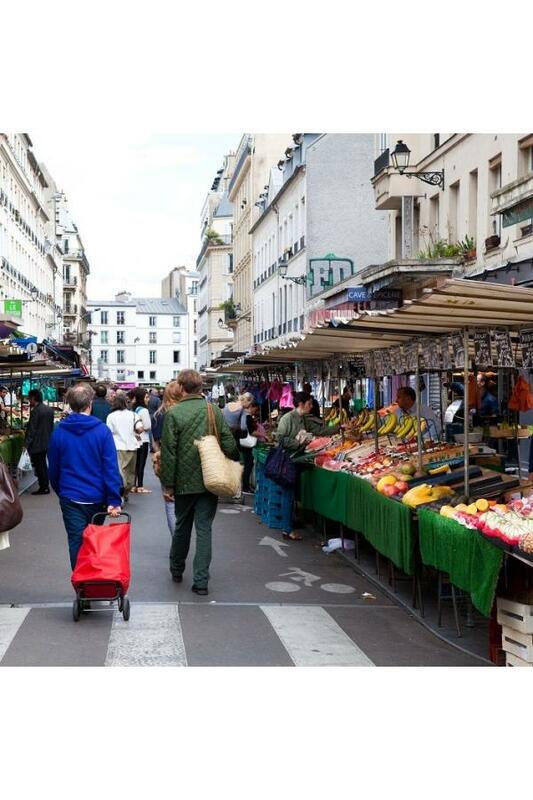 The Aligre market is a lively, typical market where local residents buy fresh produce for their Sunday lunch. 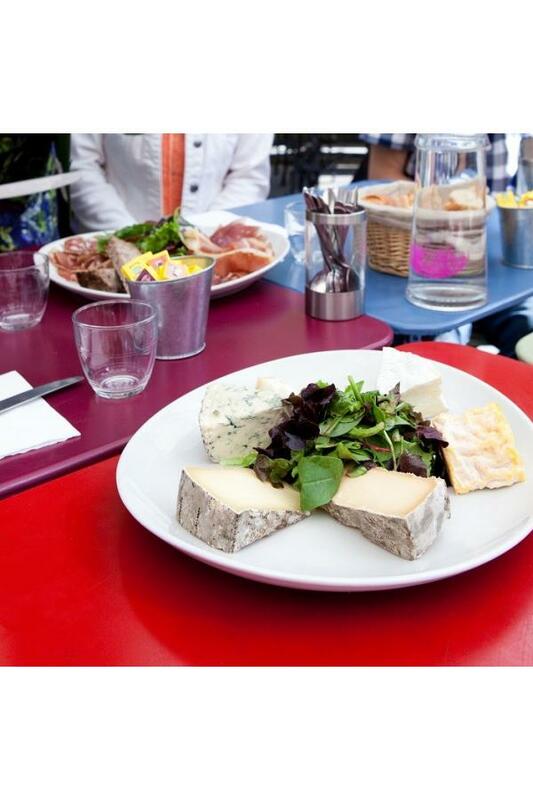 Enjoy a food-tasting experience featuring some top-quality regional products: traditional cheeses and deli meats – along with coffee and croissants of course! 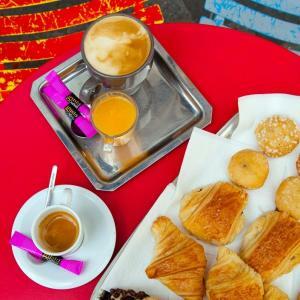 After this tasty brunch break, your journey continues across the Seine where you will explore the southern districts of Paris, taking in the modern architecture of the National Library, the Institut du Monde Arabe (Arab World Institute) and the Centre Pompidou (Modern Art Museum). 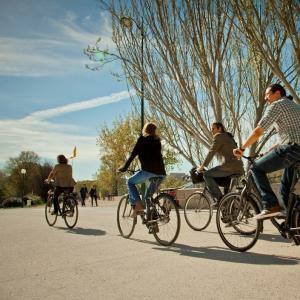 Soak up the friendly atmosphere as you cycle along by the River Seine where Parisians come to chill and enjoy a picnic in the sun. 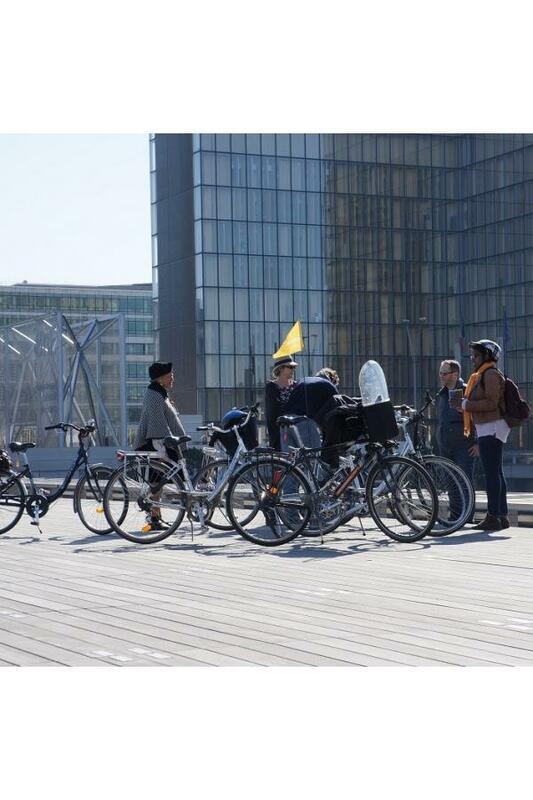 The tour finishes with some outstanding heritage sites such as Notre-Dame Cathedral and the Paris City Hall. 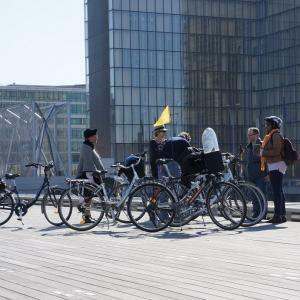 Created in 2002, Paris Bike Tour offers guided bike tours in Paris and the surrounding area – a different way to explore France’s capital city.